Steve Hobbs is the son of retired professional dancers. He started hand drums at age 7, and trumpet and drumset at 11. He switched from trumpet to vibes at age 17. Hobbs received a Bachelor of Music in Percussion Performance from Berklee College of Music in 1978. He received a Master of Music in Jazz Mallet Performance from the University of Miami in 1982. As a vibist, Hobbs has toured with the pop group "Janice," which performed internationally and was featured on the Red Fox Show in 1979. He has also toured with Tom Harrell, Randy Johnston, Art Van Damme and many others. Steve recorded both as a leader and sideman with Kenny Barron, Tom Harrell, Bob Malach, Bruce Forman, Rufus Reid, Eddie Marshall, John Patitucci, Alan Broadbent, Joe LaBarbera, Victor Lewis, Peter Washington, John Riley, Steve Berrios, Bob Sheppard, Luis Conti, and many more. Steve Hobbs has released five CD's as a leader, and has been featured over 30 recordings. All five of the CD's released under his name reached the top ten in the US jazz charts and have been released in Europe and Asia. His latest release titled "Steve Hobbs/Spring Cycle," hit number 3 on the jazz charts in June of 2005. It was also nominated for jazz CD of the year by the Jazz Journalists Association of America. In 1998, Steve was listed in the BMG All Music Guide to Jazz as one of the ten most influential jazz vibists in the world during the 1980's and 1990's. He was added to the New Grove Dictionary of Jazz in 2005. Hobbs has been featured on jazz radio across America, the Bob Parlocha Show, Music Choice Cable TV, Jazz After Hours with Jim Wilke, The David Sanborn Show, Downbeat Magazine, Jazziz Magazine, Jazz Times Magazine, Cadence Magazine, The London Observer, The New York Times, All About Jazz Magazine, and many more. 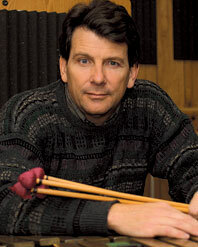 Steve endorses Yamaha vibes and Innovative Percussion mallets and has taught master classes for Yamaha at Duke University, Yale University, Cincinnati Conservatory, University of Akron, Cleveland State University, The Cornish Institute, Whittman College, Eastern Washington University, Florida State University, Radford University, Virginia Tech, Georgia Tech, and many more. Hobbs currently has standing offers to do clinics and concerts at more universities across America and Europe when time permits. Hobbs has toured the US, Canada, England extensively, and has an upcoming tour of Italy in April of 2007. Steve's endorsement of Innovative Jazz Mallets: "I use Innovative Percussion Mallets because they sound good and feel good. The RS 201, 251, and 301 give me just about any jazz sound I need from soft to hard on acoustic bars, or acoustic bars with transducer pic ups for amplifiers. I also like to use the Dan Moore 20 medium soft mallet, for a very full, ballad sound. Most important, Innovative Percussion Mallets has the finest quality Rattan I have used in my 33 year mallet career. For now, I don't have time to design my own signature mallet for Innovative Percussion, and why should I?....they already have what I need."